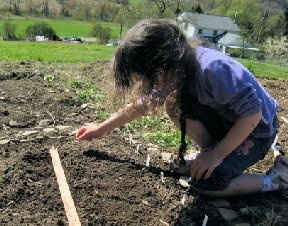 Even if you don’t love gardening, digging in the dirt may be good for your health—-and it has nothing to do with a love of nature or the wonder of watching things grow. The secret may be in the dirt itself: a bacterium called Mycobacterium vaccae that acts like an antidepressant once it gets into your system. That’s right. A living organism that acts like a mood-booster on the human brain, increasing serotonin levels and making people feel happier. It was accidentally discovered about 10 years ago, when Dr. Mary O’Brien, an oncologist at the Royal Marsden Hospital in London, tried an experimental treatment for lung cancer. She inoculated patients with the killed bacteria to boost their immune system. It did that, but it also improved her patients’ emotional health, vitality, and general cognitive function. These studies helped them understand how the body communicates with the brain and why a healthy immune system is important for maintaining mental health. They also leave us wondering if we shouldn’t all be spending more time playing in the dirt! It raises the intriguing idea of a future where doctors could treat clinical depression with a simple vaccine. In the meantime, people seeking a bit of a boost may be able to find it in their own backyards. I wouldn’t recommend inhaling or eating dirt, of course. But, this spring, I am looking forward to spending more time getting dirty! Please join me!!! No wonder kids love playing in the dirt! I think you’re right there. There are many valuable things we can learn from children! Great article! I’m putting it up in our lunchroom here at work.